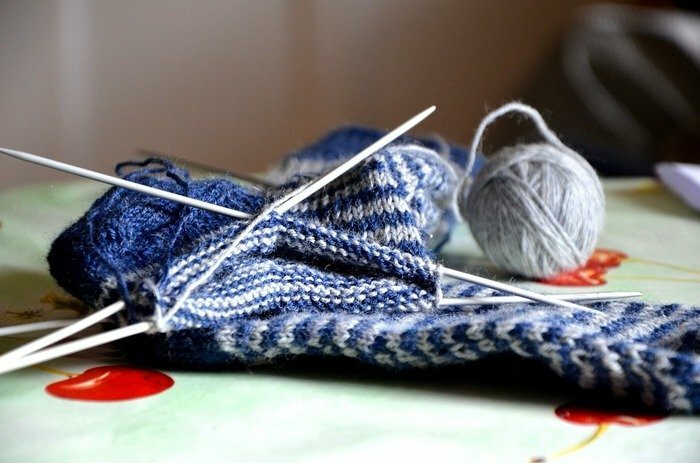 Finish your hand knits like a professional with these expert tips, tricks and techniques. Seaming, weaving ends, and blocking will be covered. Your knits have never looked so good! Swatch 1: cast on 32 stitches. Knit in 2x2 ribbing for 2 inches. Continue in stocking stitch for another 4 inches. Cast off. Leave 5 inch yarn tails. Swatch 2: cast on 20 stitches. Knit in stocking stitch for 4 inches. Knit in garter stitch for 2 inches. Cast off. Leave 5 inch yarn tails. Please knit two swatches prior to class. Swatch 1: cast on 32 stitches. Knit in 2x2 ribbing for 2 inches. Continue in stocking stitch for another 4 inches. Cast off. Leave 5 inch yarn tails. Swatch 2: cast on 20 stitches. Knit in stocking stitch for 4 inches. Knit in garter stitch for 2 inches. Cast off. Leave 5 inch yarn tails. Please bring yarn to sew swatches, darning needle, notebook, and pencil to class.